Venetian Golf and River Club offers Grand Villas, classic homes and carriage homes with views of a beautiful 18-hole golf course and a 70-acre private Nature Park. The River Club offers dining, a fitness center, and a pool. The Golf Club offers complete locker rooms, a true Pro Shop, a Grille, a private lounge and a restaurant. Of course, there’s much to explore in the Venice and Sarasota area. This French-inspired restaurant offers delicate crepes, quiches and other delights. This Italian restaurant offers a taste of Tuscany that’s appropriate to a city called Venice. The championship course is a 72-par, 18-hole challenge with 4 tees. 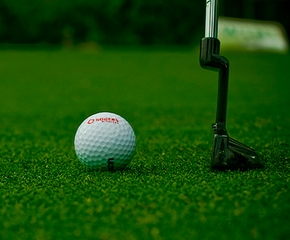 Green and inviting, it offers golfers the chance to enjoy Florida’s natural beauty while playing their favorite sport. Although membership is available, this 27-hole course is open to the public. It offers terrific golf and amazing views of the Gulf of Mexico. Located just miles from the Venetian Golf and River Club, this and other area beaches offer relaxation by the beautiful Gulf of Mexico. Serving grades Kindergarten through 8th, Nokomis is the only combination elementary-middle school in the county. It has earned the Golden School Award and the Five Star Award for many years in a row. It is also ranked in the top 10 percent of similar schools in Florida. The high school has a 70-acre campus and a top-notch performing arts center. Learning Communities encourage in-depth study of a particular focus area. Advanced Placement, Dual Enrollment and the Rotary Futures Program keep kids on track for college. STEM, Digital Design, Engineering, Culinary Arts and Business Entrepreneurial pathways are among the special focus areas. Once you are settled in your home at Venetian Golf and River Club in Venice, you will find much more to explore. The area offers a wealth of professional theaters, concerts, museums, fine dining, and art galleries. The weather is so often inviting that outdoor activities beckon nearly yearround. The beaches, harbors and boating opportunities make this a water-lover’s paradise. From a simple stroll along the River Walk to a relaxing dip in the calm, warm waters of the Gulf, there is always something fun to do.